John Michael Hayden completed his third season overall as an assistant coach with the Louisville men's soccer program im 2017 and his second season since returning on June 22, 2016. Hayden, who was an assistant coach with the Cardinals in 2012, served as associate head coach at Xavier during the 2015 season. The Louisville mens soccer program produced another successful season in 2017 reaching the quarterfinal round of the NCAA Championship for the fifth time in the last eight seasons, including the second straight year, and earning a No. 7 ranking in the final United Soccer Coaches Top 25. The Cardinals finished with a 13-2-5 record and were second in the ACC Atlantic with a 5-2-1 league record. During Hayden's first season back with the Cardinals, the team advanced to the quarterfinal round of the NCAA Championship for the fourth time in seven seasons and was ranked No. 6 in the final coaches polls. 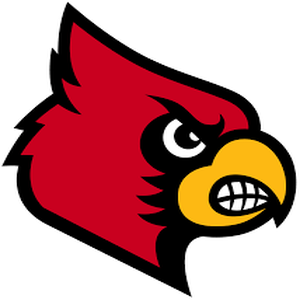 Louisville was 14-6-2 overall and finished second in the ACC Atlantic Division with a 5-2-1 conference mark. The 14 wins were the third most in school history equaling the totals from 2011 and 2012. In 2015, Hayden helped Xavier compile 12 wins and earn a No. 10 ranking in the NSCAA poll. The Musketeers won at No. 2 Notre Dame and No. 1 Creighton during the fall, widely considered to be the first time any team has knocked off the top two NSCAA-ranked teams on the road in the same season. Hayden joined the Musketeers after spending two successful seasons at Lipscomb, where he helped the Bison to a program-best 12-4-1 record and A-Sun regular season title in 2014. The Bison were 21-13-4 overall during his two years in Nashville, racking up several conference honors in the process. Hayden trained the 2014 A-Sun Defender of the Year, Luke Gearin, and the A-Sun Freshman of the Year, Ivan Alvarado. In 2013, he mentored A-Sun Player of the Year Omar Djabi and assisted A-Sun Coach of the Year Charles Morrow both program firsts for the Bison. Prior to his two years at Lipscomb, Hayden helped lift the Cardinals to a 14-6-1 record, a BIG EAST Red Division regular season championship and an Elite Eight appearance in the NCAA Tournament during a highly successful 2012 season. Before his first stint with the Cardinals, Hayden served as Director of Coaching with the Kentucky Fire Juniors USYSA club, obtaining his USSF National "A" coaching license and traveling to Spain with U.S. Soccer as part of a development workshop with the international powerhouses FC Barcelona and Real Madrid. Hayden was a decorated player before transitioning into coaching, playing collegiate soccer at Indiana and winning back-to-back NCAA championships with the Hoosiers in 2003 and 2004. He scored an overtime header against No. 3 Maryland in the 2004 College Cup, sending IU to the title match. During his sophomore season, Hayden scored career-highs with seven goals, four assists and 18 total points -- tying for the team lead with six game-winners. Hayden was named Big Ten All-Conference in both 2004 and 2006 and was selected to the NCAA College Cup All-Tournament Team during the Hoosiers' 2004 title run. In 2007, Hayden was selected 13th overall in the MLS SuperDraft by the Houston Dynamo. His pro debut came on July 10, 2007 in the Lamar Hunt U.S. Open Cup against Charleston Battery. In his rookie season, the Dynamo won an MLS Cup Championship. He wrapped up his professional career after signing with the Louisville Lightning in January of 2010. A two-time Parade Magazine All-American at Trinity High School in Louisville, Hayden was named NSCAA/adidas Kentucky Player of the Year along with Gatorade and Eurosport honors. When he signed with IU, he was recognized as a top-25 recruit by Soccer America.